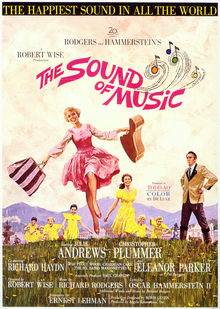 The Sound of Music is derided in some circles as being so syrupy-sweet as to be nauseating. The growth of The Sound of Music Sing-Along phenomenon, the anti-Rocky Horror Picture Show if you will, is more ammo to strike at the film. It may be very delightful and cheery to some, a nightmare for others. However, looking at it through cold, analytical eyes, The Sound of Music has so many pluses that it is hard not fall for its blend of brilliant music and celebration of the redemptive power of love. Novitiate Maria (Julie Andrews) is a bit of a free spirit: going up to the mountains to commune with The Sound of Music, singing down the corridors of the Abbey, making the other nuns a bit bonkers. How Do You Solve a Problem Like Maria?, they wonder. The wise Reverend Mother (Peggy Wood) thinks something can help: to serve as a governess to a retired Austrian naval Captain, at least temporarily, to see if Maria does have the stuff to hack it as a nun. Maria declares I Have Confidence to herself as she goes to meet the intimidating Captain Georg Von Trapp (Christopher Plummer) and his seven children: five girls and two boys ranging from age 16 Going on 17 to 5. 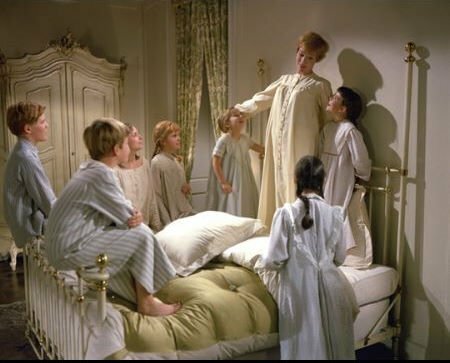 The children are notorious for having governesses flee, sometimes within hours, but Maria's patience, kindness and genuine affection for them wins them over, with a little help from thinking of My Favorite Things. The Captain is horrified, even angered by Maria's antics of love and music, but he's found his match in the outspoken novitiate. He's also preoccupied with his romance with The Baroness (Eleanor Parker), a wealthy widow. Their mutual friend Max (Richard Haydn) is always on the lookout for a new singing sensation he can make money out of, and finds the Von Trapp Family Singers a goldmine. The Captain, however, is not in favor, but soon he too softens to the joy and laughter Maria has brought. He even recollects his own love of music, and the passion for his beloved Austria does not dissipate, Edelweiss bringing it back. A ball in the Baroness' honor makes his opposition to the impending Anschluss clear, but Maria, confronted by her feelings for Captain Von Trapp, flees to the nunnery. ...just as the Nazis enter Austria. The patriotic Captain is enraged at these Germans forcing Austrians into the Reich, but there are greater dangers. The Nazis expect him to take up a German naval command. Realizing their family is in danger, the Captain and Maria decide they must flee Austria. However, the Von Trapp Family Singers are due to enter a contest, and this context is the surprising vehicle for them to escape the Nazis to safety in Switzerland. The Sound of Music is by no means historically accurate in terms of the actual Von Trapp family history. There was no 'flight by climbing mountains': the family took the train out to Italy. Then again, you can't have people sing Climb Every Carriage can you? It's not even accurate to the original Broadway show: Ernest Lehman's script altered song order, cut others and had new ones written. Those new songs, I Have Confidence and the love song Something Good were a rarity in that Richard Rodgers wrote both the words and lyrics, his lyricist songwriting partner Oscar Hammerstein II having died five years earlier. However, I don't think anything is lost either in shifting songs or keeping more to the fantasy of the story versus the actual history, save perhaps for the unfortunate damage to the good Captain's reputation. He was actually a very gentle figure and not the martinet portrayed, and perhaps in retrospect director Robert Wise and screenwriter Lehman could have softened his image a bit. Yet I digress. If you look at The Sound of Music just musically, you find why Rodgers and Hammerstein were simply the best team. Each song fits perfectly where it does what good musical numbers do: further the plot or give character insight. How Do You Solve A Problem Like Maria? perfectly captures both the nun's competing views on our main character and tells us a lot about Maria. My Favorite Things also gives us insight into Maria's positive outlook, and Climb Every Mountain with Wood's Reverend Mother has an almost divine air to it, as if the Reverend Mother were speaking from God's very word. For me, while all the songs are good (though I confess to finding So Long, Farewell a bit too cutesy and thinking The Lonely Goatherd could have been cut), my favorite is Edelweiss, the last song Hammerstein wrote. It has a very strong folk feel, the lyrics and music blending so well for that feel that many believe it is an authentic German folk ballad. It's a very moving number, made more moving in the reprise where the 'Austrian folk song' calling to 'bless my homeland forever' suggests that Austrians, newly integrated, still hold their own traditions and thus, makes it a song of hope. The acting is almost all-around brilliant. Andrews' Maria keeps that balance of sincere outspokenness with English sophistication and charm. She handles the singing part with aplomb, knowing when to go big and when to be gentle. I Have Confidence for example shows how Maria wants to build up her courage only to occasionally weaken. 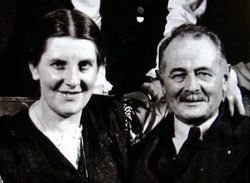 Her rapport with the Von Trapp children shows how well she can act with minors, and she has a wonderful reaction to Wood's Climb Every Mountain, as if she is hearing that physical love is as pure as spiritual. Maria pushes without being pushy, and brings joy and laughter through simple acts. Wood too was delightful as the always understanding and compassionate Reverend Mother, who has compassion and common sense, two things rarely found together. 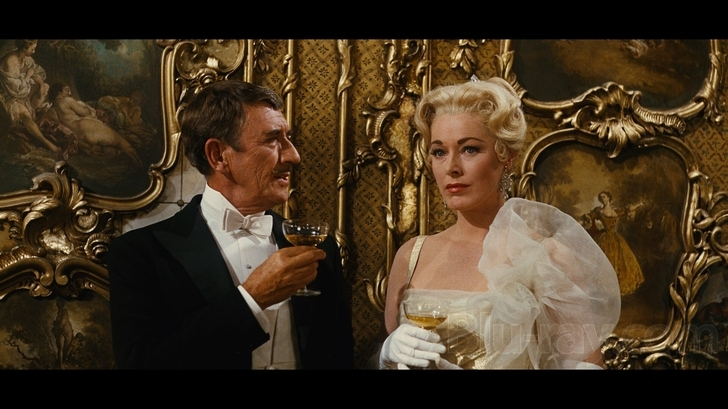 Parker is as close to a villainness as can be found as Elsa, The Baroness Schraeder, especially when she cajoles Maria into at least tacitly acknowledging she has fallen in love with Captain Von Trapp. However, she does not overplay the coldness of someone whom we shouldn't like, and her admission of defeat is quite moving. Haydn is similarly as close to comic relief as Max, the delightfully scheming impresario who does in the end sacrifice his own goals for the greater good. I would qualify Plummer as the weak spot as our stiff Captain. He played the part as if he could not quite believe he was supposed to be as strict and cruel as he was meant to. I think he tried to give the Captain a touch of levity but he couldn't go fully in to being the tyrant or being a tyrant with a hint of kindness, at least until he and Maria married. To his credit, Plummer played the Captain's fierce patriotism extremely well. It does say something about his performance that when he says "I love you" to Maria, it sounds more like a threat than a declaration. Wise, who started as an editor before transitioning to director, does excellent work in keeping things flowing and in the transitions, particularly when the church bells shift from the Von Trapp wedding to the Anschluss announcement. The film moves quickly, especially given that we hear three songs in 20 minutes. Wise also allows foreshadowing in the film, from when Maria quietly enters the closed-off ballroom to the on-screen text setting of the film in the "last golden age of the thirties". He even manages to almost always have the kids line up in order. Interestingly, the Nazi menace seems to mostly linger in the shadows. It isn't until two hours into the nearly three hour film that we get to the Anschluss and the Nazi menace is almost always mentioned obliquely. This I think was a wise decision, allowing us to focus more on the transformation of Maria and the Von Trapps than in what was going on outside their world. A focus on the impending menace might have distracted us from the romances: the triangle of Maria, the Captain and the Baroness, the budding but doomed romance between the oldest Von Trapp child, Liesl (Charmian Carr) and telegram boy Rolfe (Daniel Truhitte), and Maria with the children. In technical matters The Sound of Music also excels, from the beautiful cinematography that captures the loveliness of the Austrian countryside and Salzburg in particular to the excellent editing. The Sound of Music may be thought of as 'sickly sweet' and it may be fantasy in terms of how it deviates from actual history, but I think it is near impossible not to fall in love with it. The music is among the best written for either stage or screen. It has definite performances (Andrews essentially has made almost all forget Mary Martin's original Broadway role) and at heart, a story about love in all forms. It is a beautiful and beautifully-crafted film. Has The Motion Picture Academy Gone Bonkers?